Jared Wright is an impressive high school student who has created a command line interface to Reddit. AlienFeed is a simple, but effective, way of interacting with Reddit and takes advantage of Python’s ability to open items in your web browser for you. It comes with a man page (unlike some Python CLIs) and a custom set of bash completions. 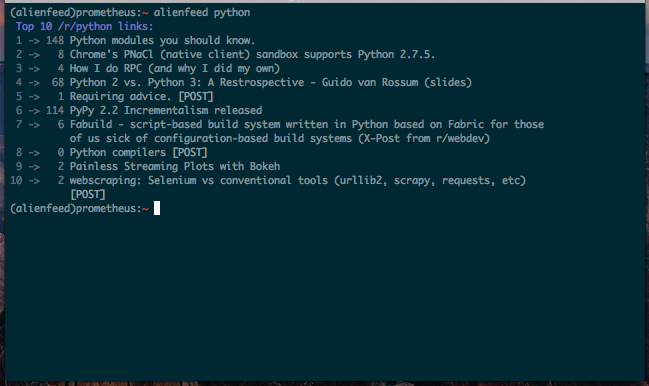 To try it out: pip install alienfeed.